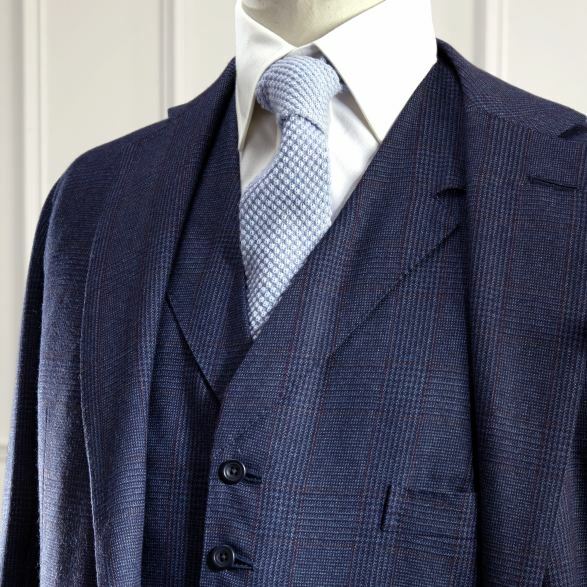 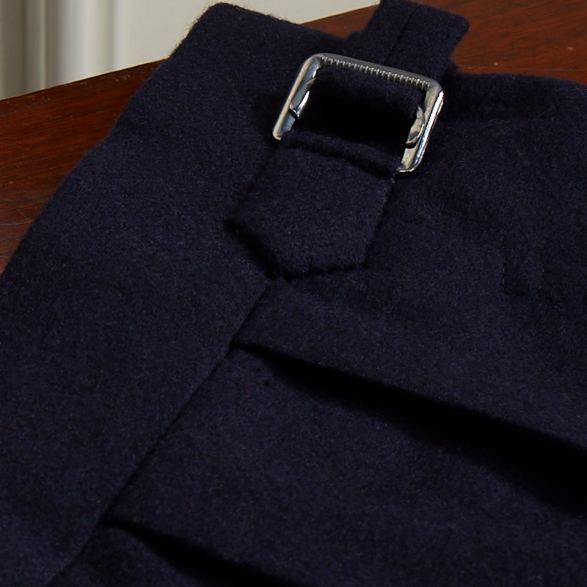 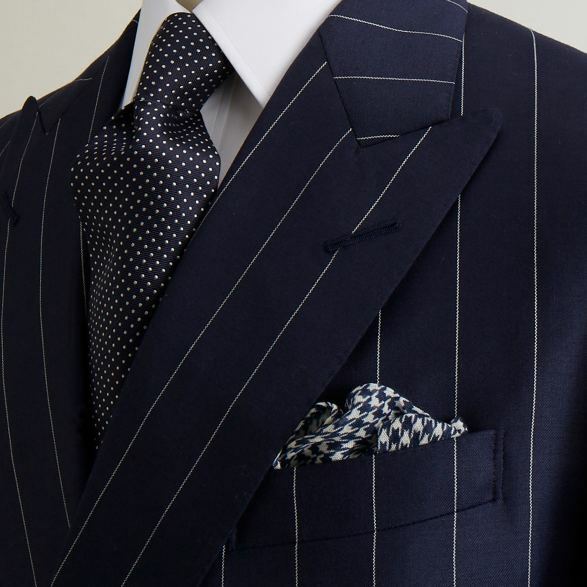 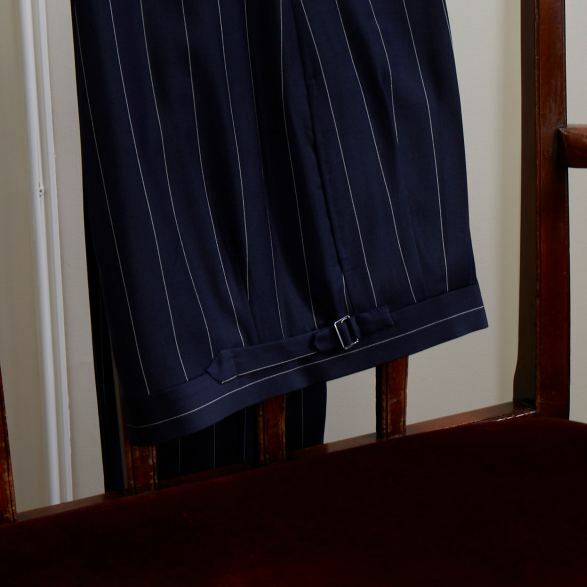 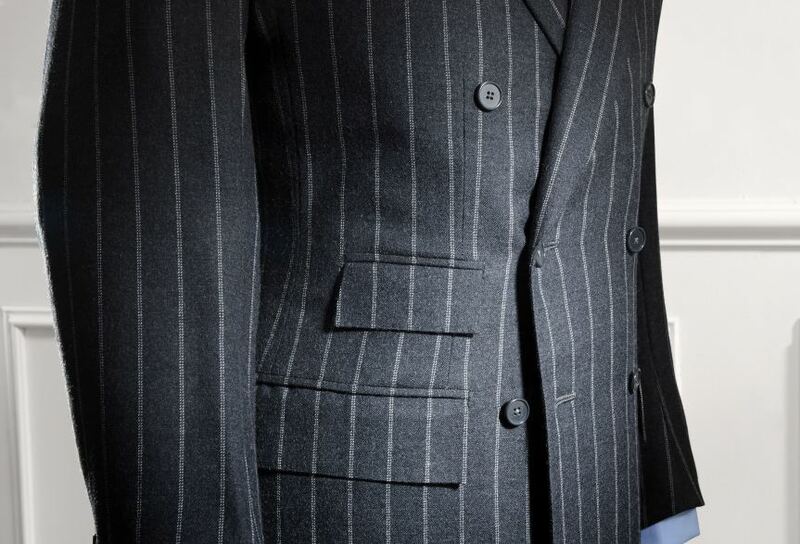 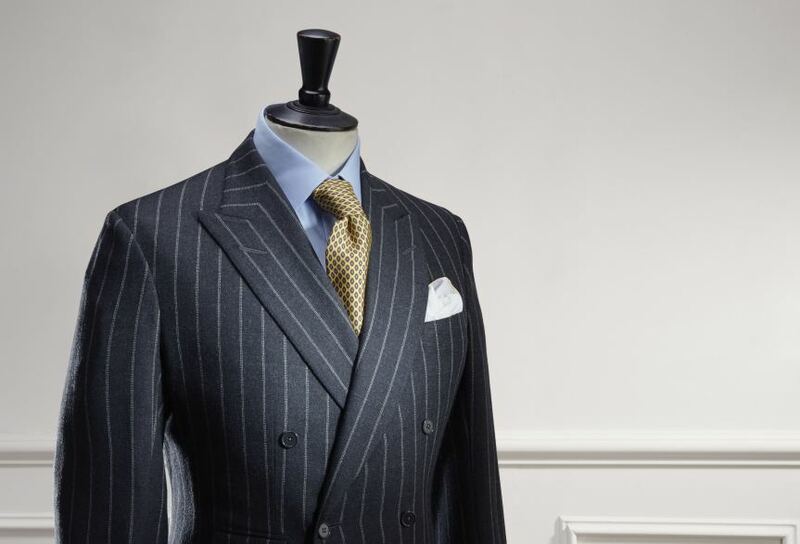 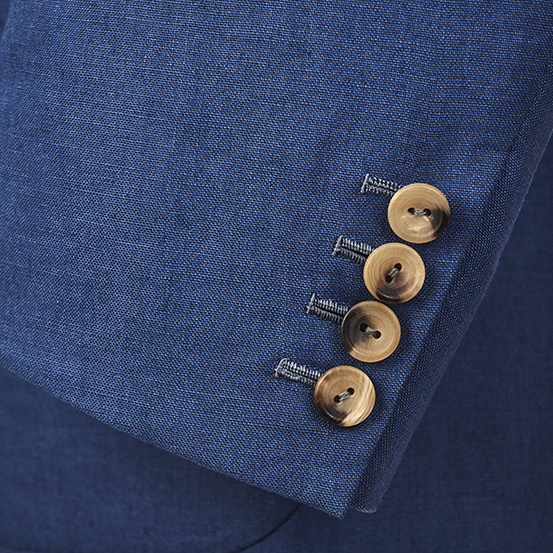 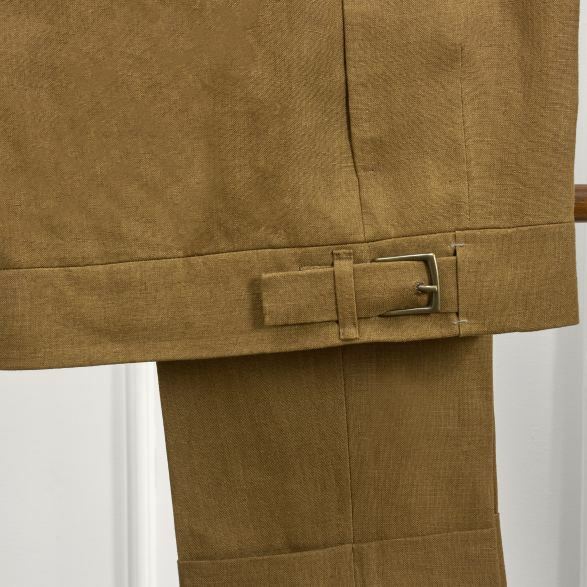 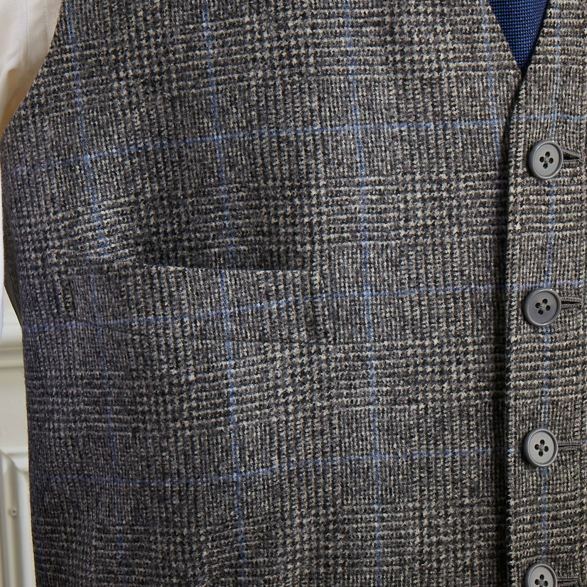 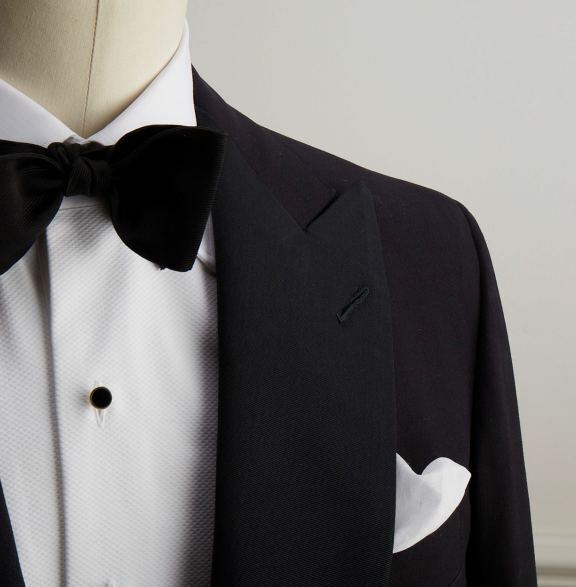 Pleated trousers with side adjuster tabs, part of this two-piece suit in lightweight navy pinstripe cloth. 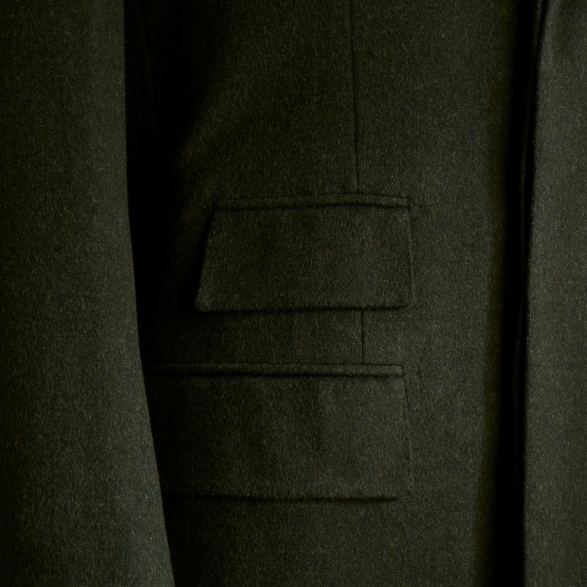 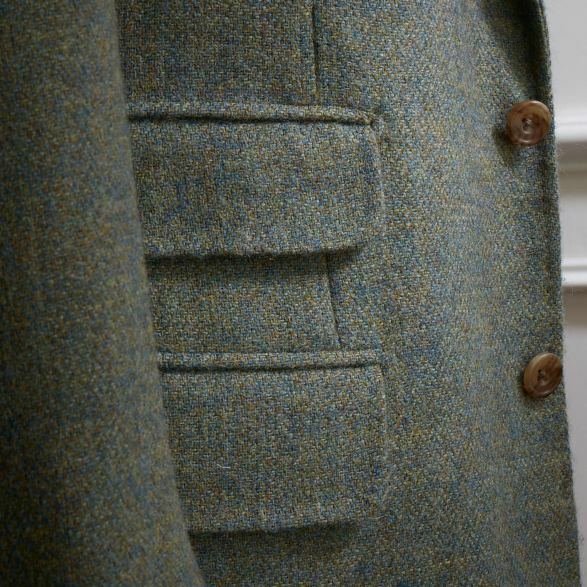 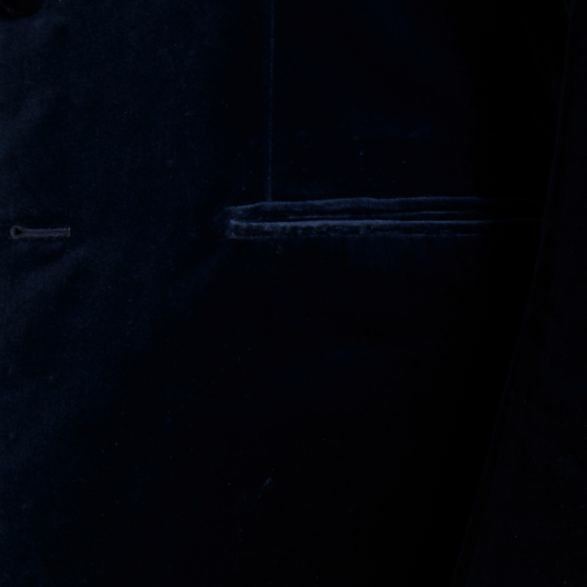 Detail: Out ticket pocket on the right hand side. 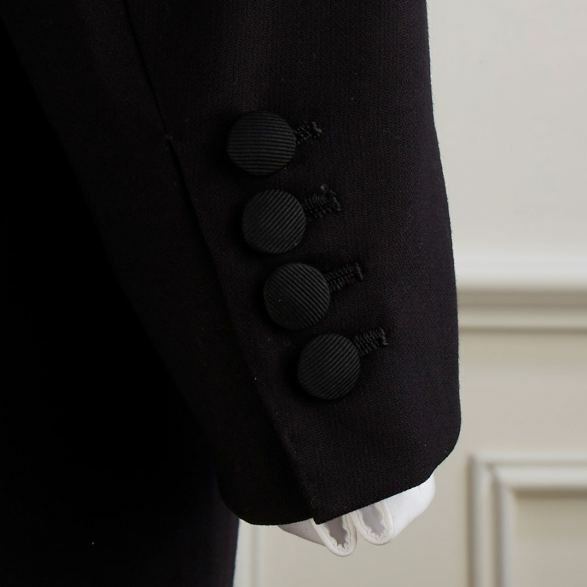 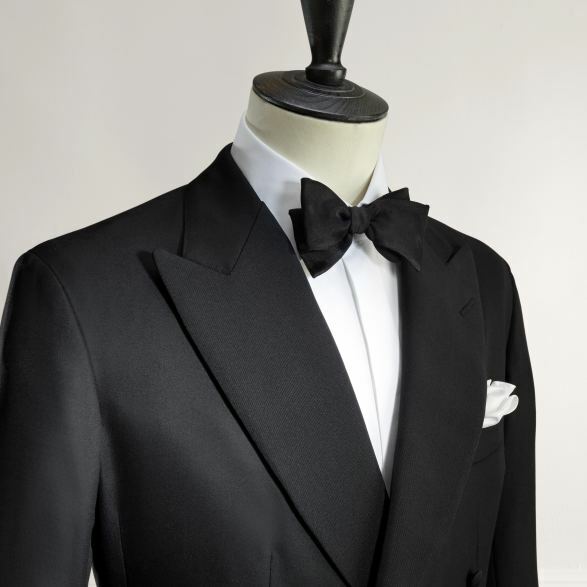 Double breasted black fine barathea dinner jacket and covered buttons. 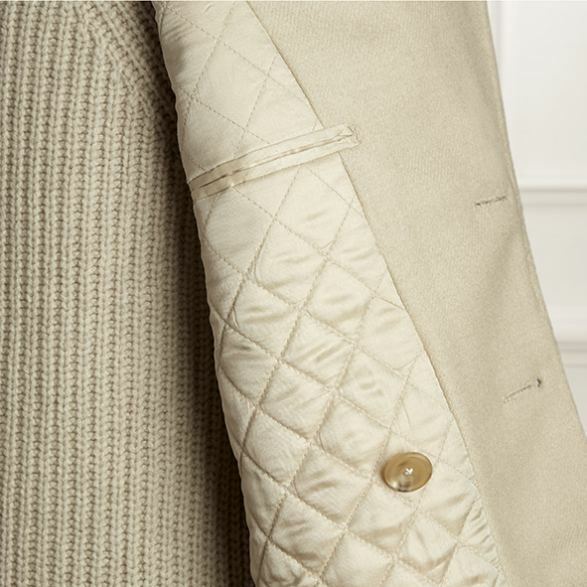 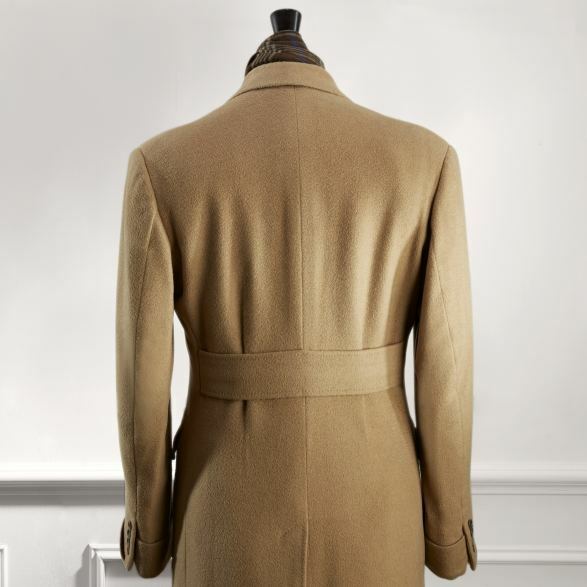 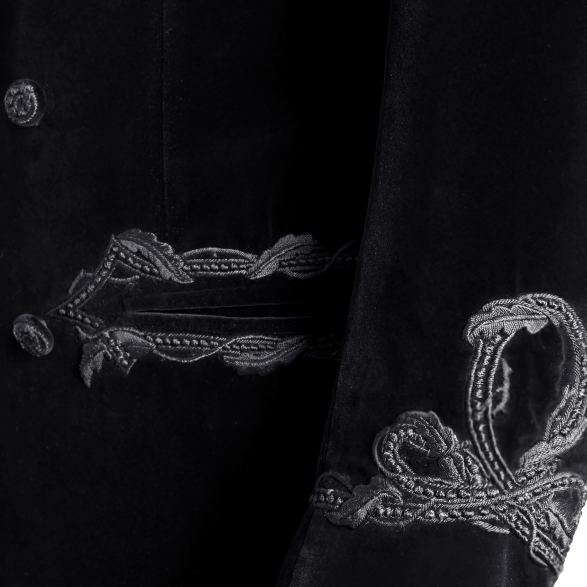 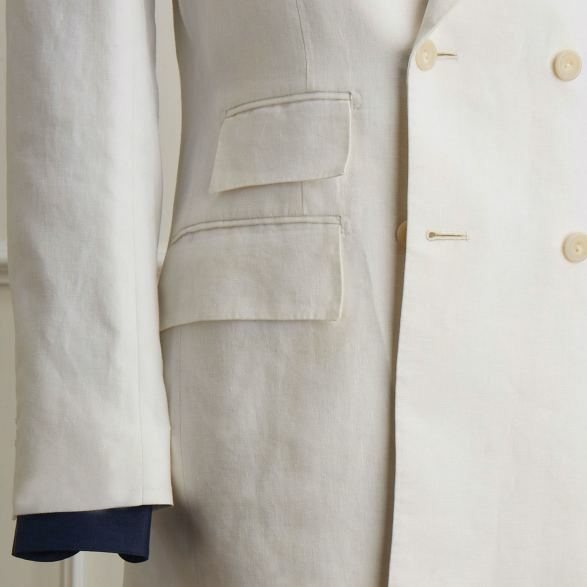 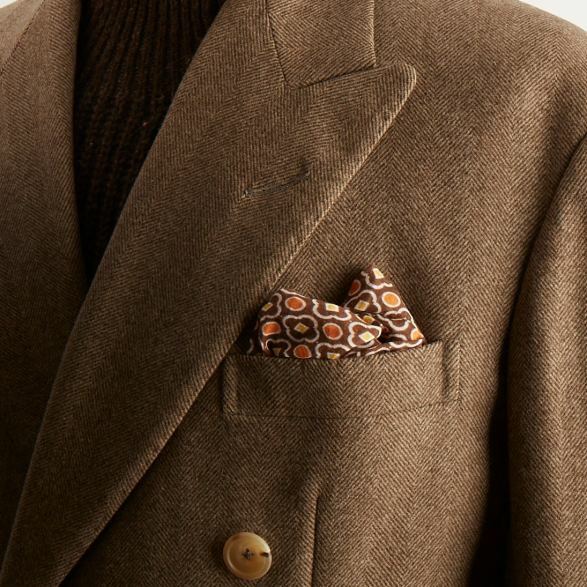 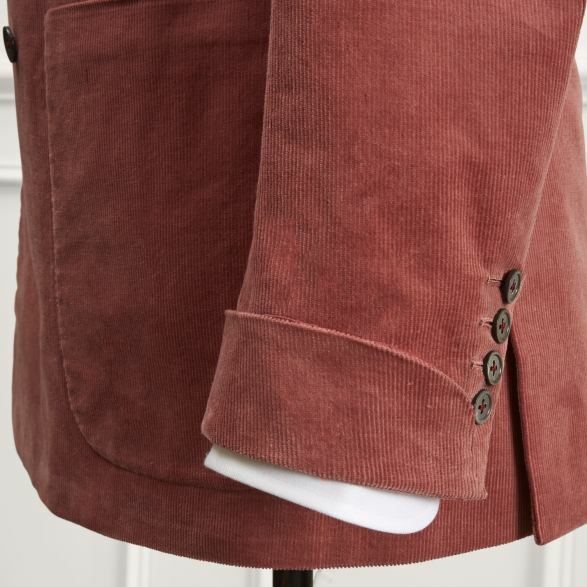 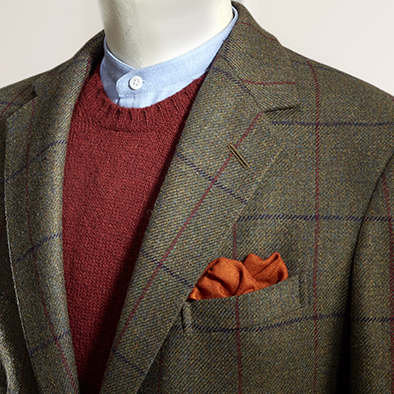 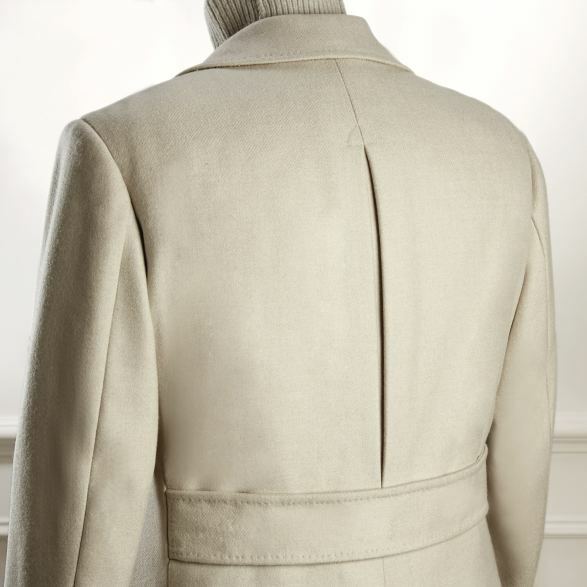 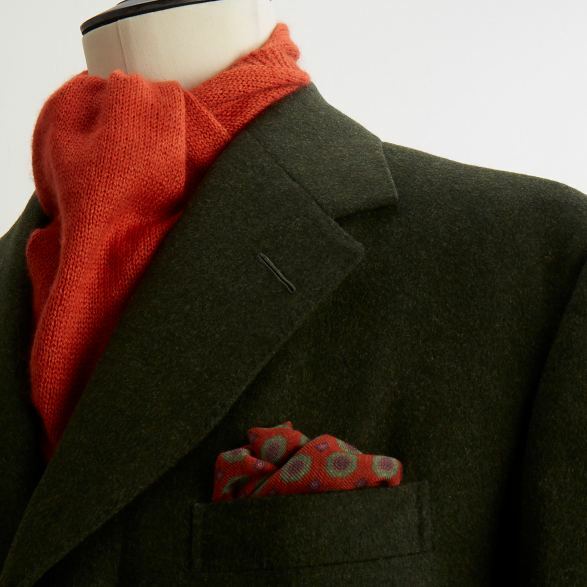 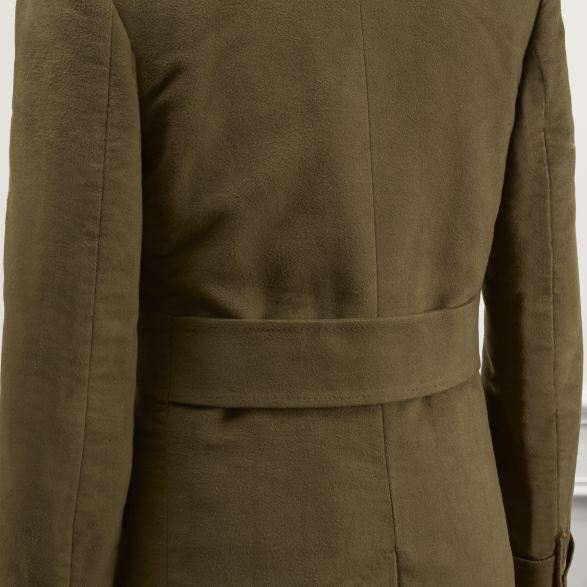 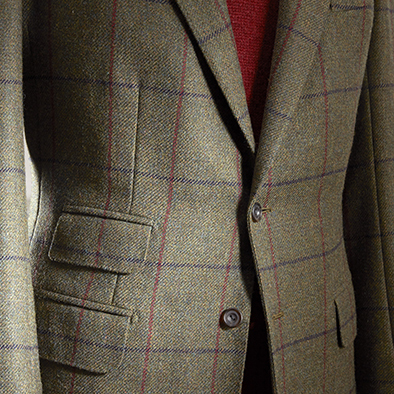 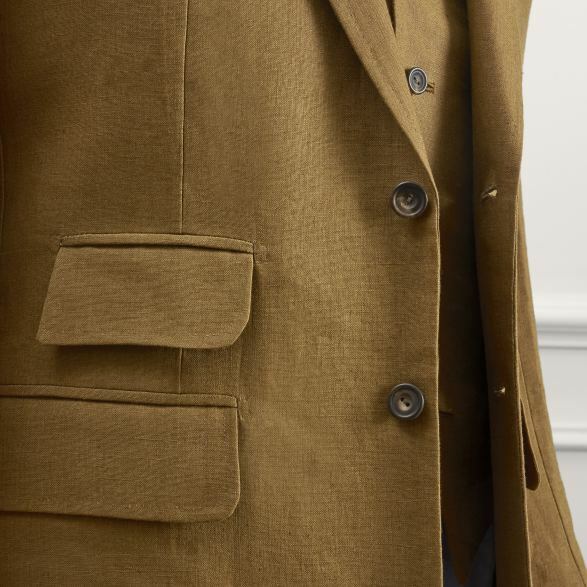 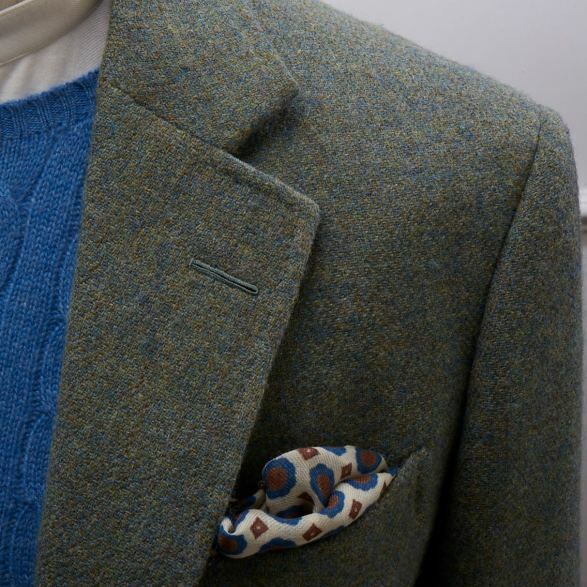 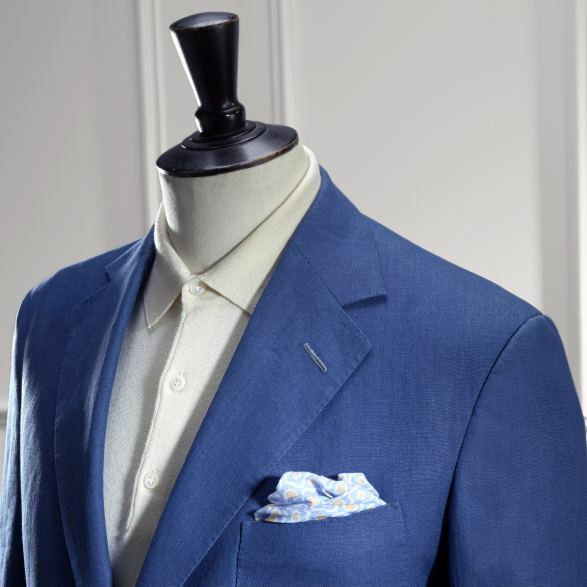 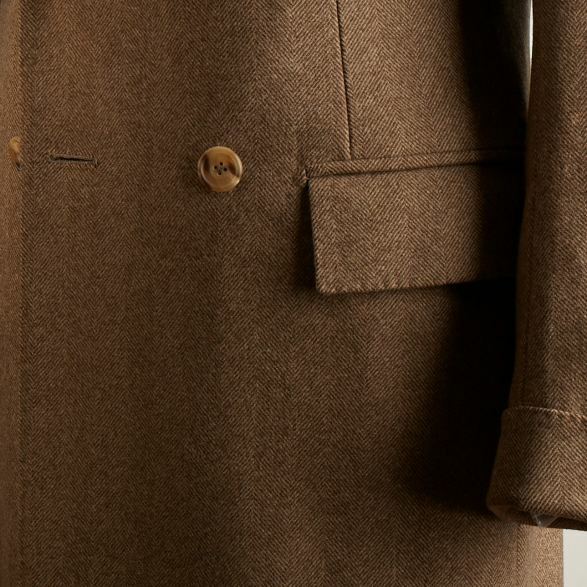 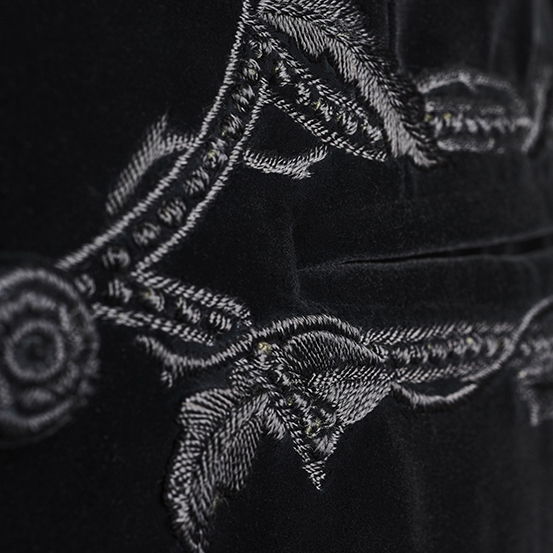 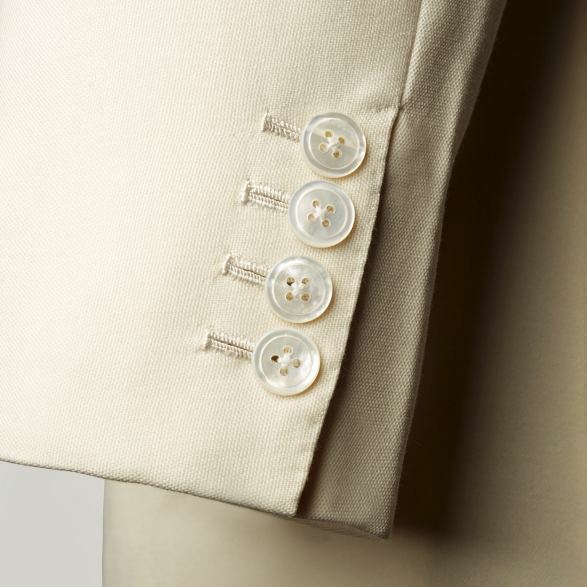 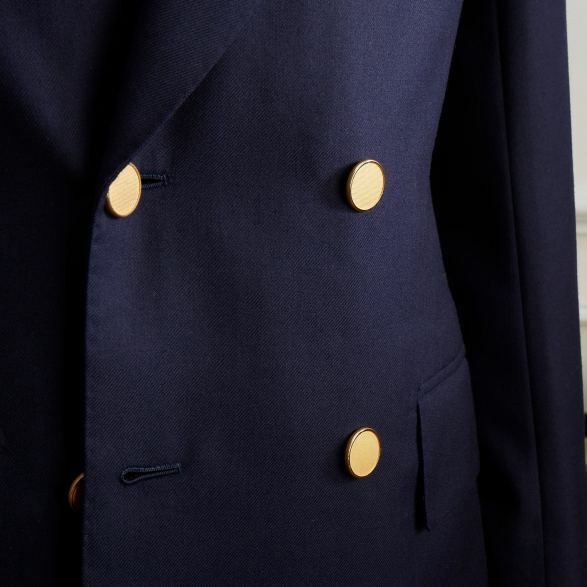 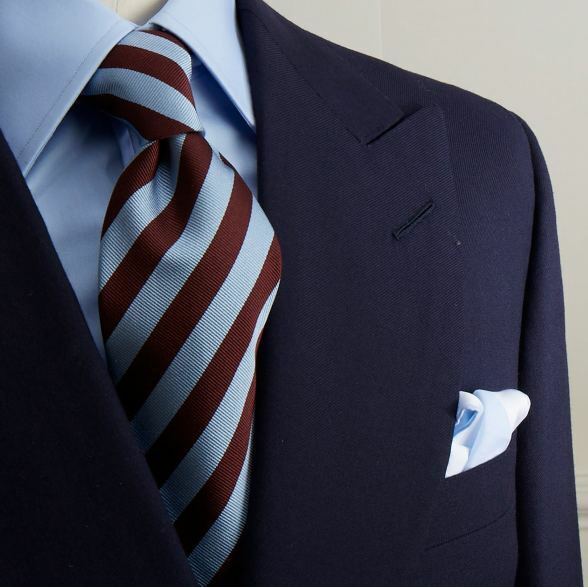 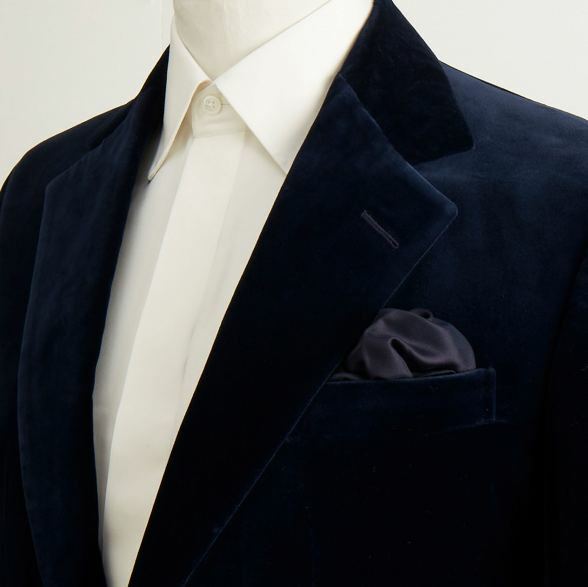 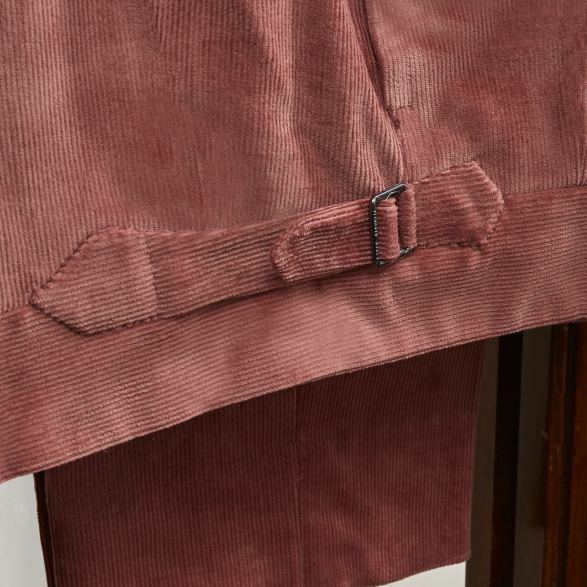 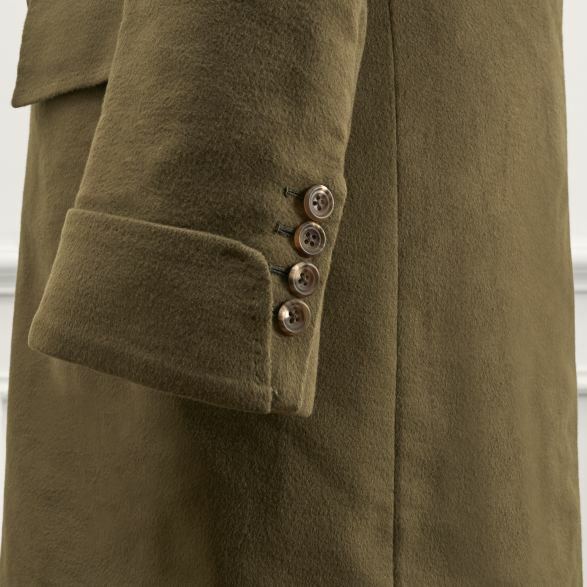 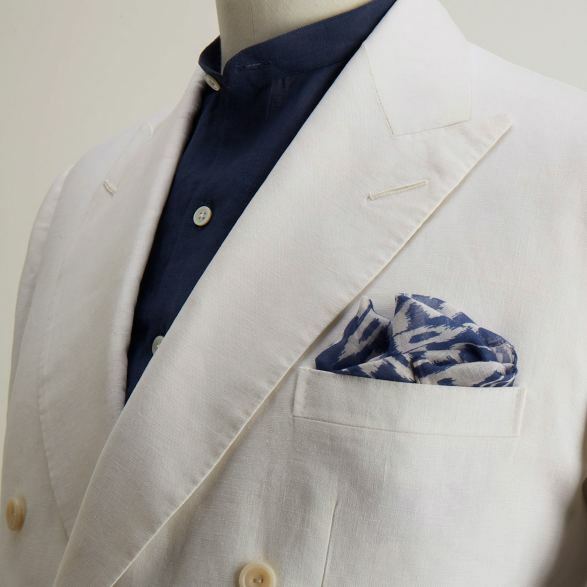 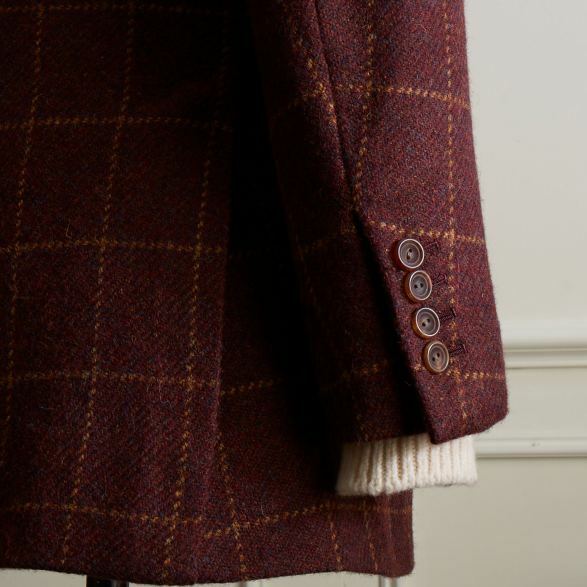 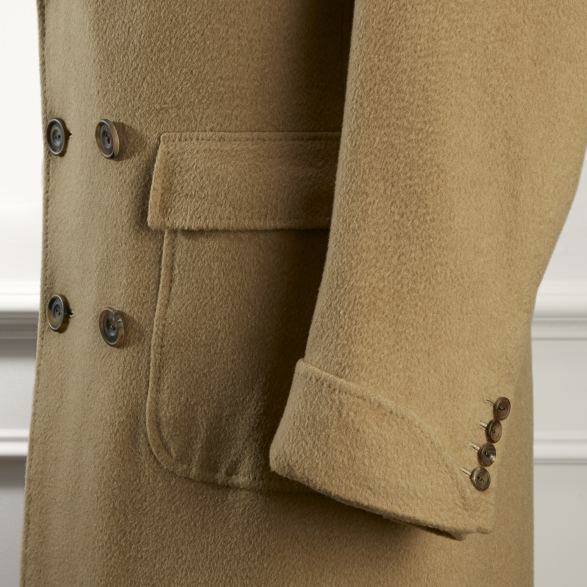 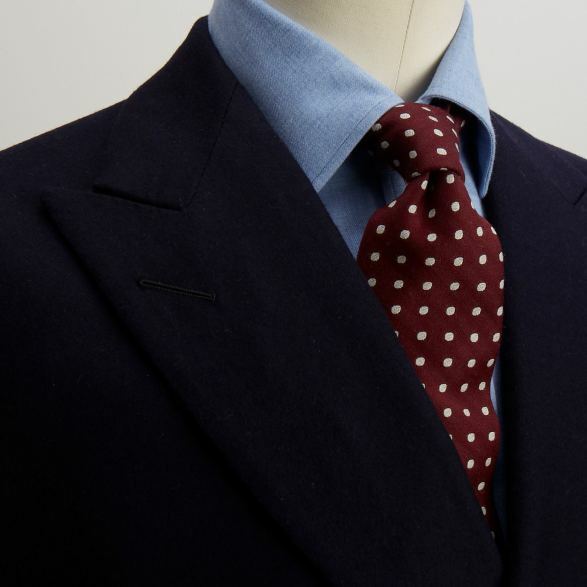 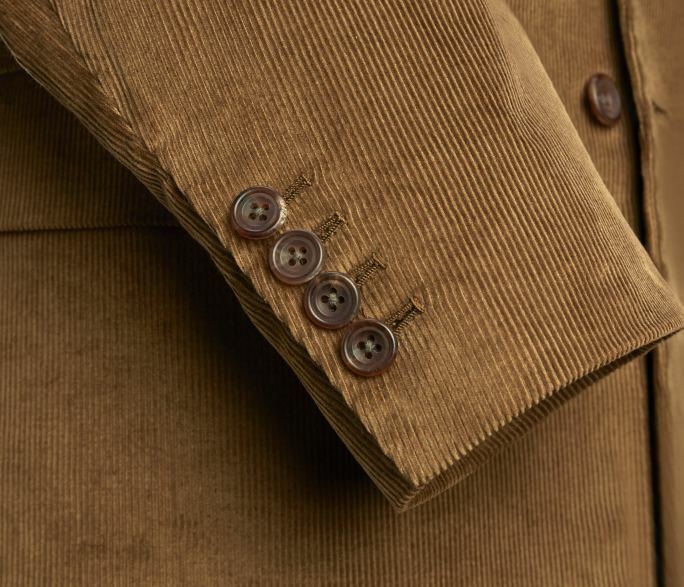 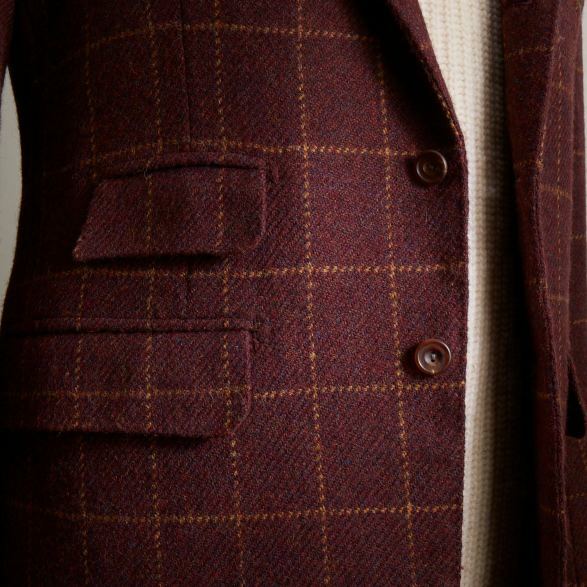 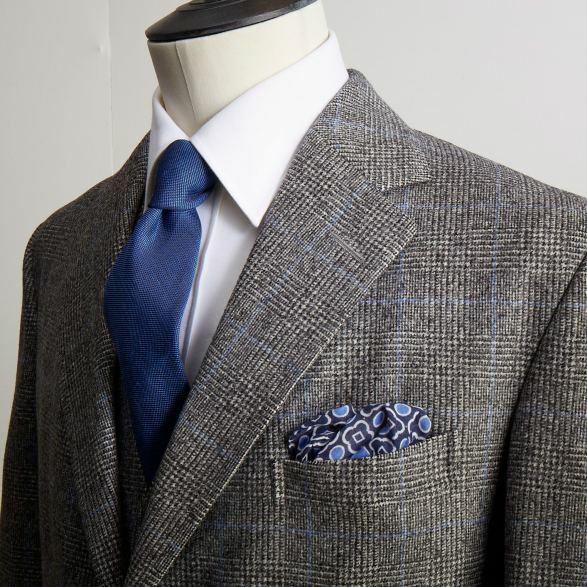 Jacket features fine corded silk facing to double-breasted lapels. 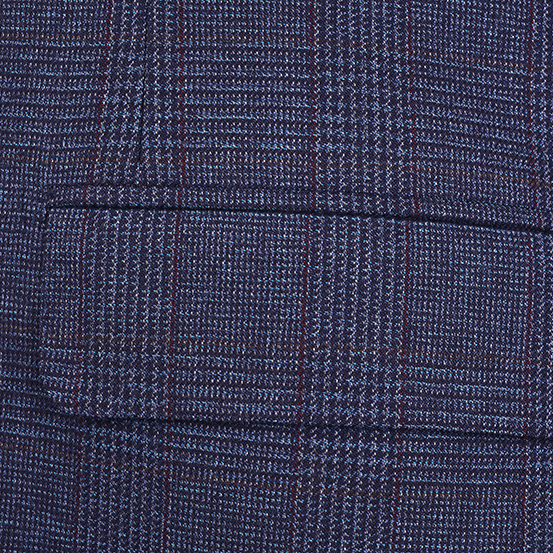 Cloth is Taylor & Lodge and the reference is A128/593801A 12/13oZ.